Titanfall was a game we were sold before it was actually on sale. The marketing hype-narrative was one of the longest (about 9 months) and most extensive (about $150 million+ in advertising, I imagine) since Bioshock Infinite. By the time it wasn’t released, we had already decided it was the greatest thing we’ve never played. 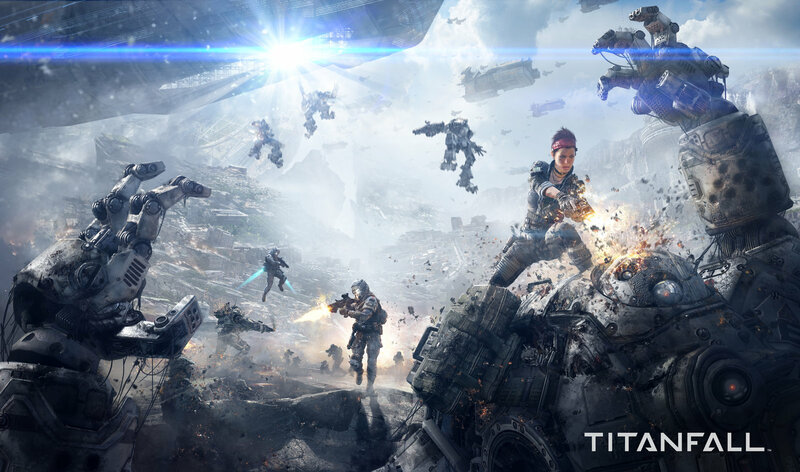 Titanfall is a high-tech piece of content marketing (advertising that doesn’t directly make a pitch but inevitably makes a sale), not actually designed to sell software, but hardware. I play[ed] the under-advertised PC version. The sales narrative made it seemingly apparent that Titanfall only existed on Xbox One. The 360 version has been delayed for a second time until early April. “I don’t want to wait. Maybe I’ll shell out on the Xbone,” Microsoft hopes the consumer says. I bet my copy of Titanfall on the Xbox 360 will be uncannily similar to the next, uh, current gen versions. 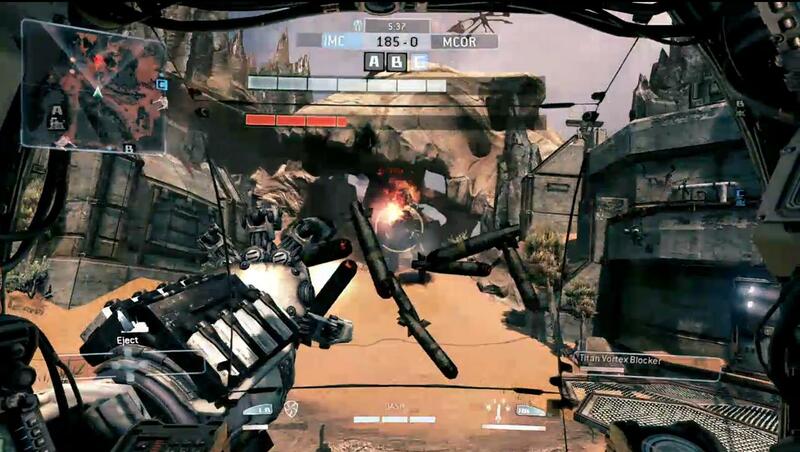 Titanfall owes its existence to a heritage of mainstream games. It combines Call of Duty, Magic: The Gathering, Hawken, Mirrors Edge, League of Legends, rock-paper-scissors. It makes Call of Duty relevant again, for now. The reload animations, the animations, the pacing, the set pieces are all identical to what Infinity Ward offers. The ante and the context have just been stepped up. I’m certain that this is the game that Infinity Ward would have made, if the major members that left to form Respawn would have remained under Activision’s control. 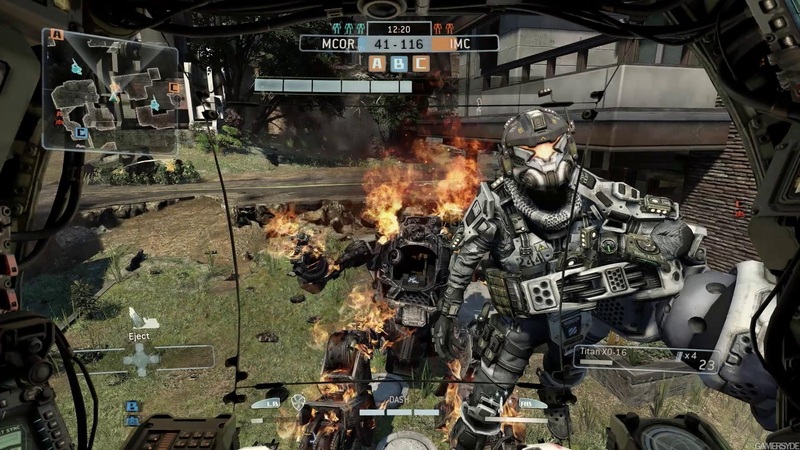 Respawn manages to implement all of these elements from different games to make a stained glass window of game design, each element distinct, yet working within a bigger picture, each piece of gameplay streamlined to a precisely measured fun. Premarket to 1000 degree F.
The thing that differentiates Titanfall from its bullet brethren is one of the oldest game mechanics: Power-ups. 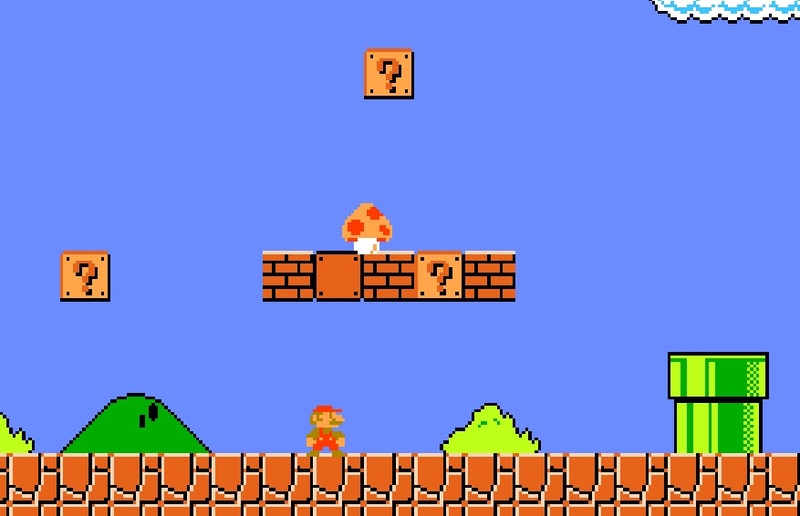 Calling down a titan is the equivalent of picking up the super mushroom in Super Mario. Titans and mushrooms both transform the player into larger, more powerful versions of themselves. The powered up modes are extensions, not evolutions or revolutions. The perspective and embodiment only change in stature. They both make you a greater physical threat, allow you take more damage, give you an extra life. You can remove yourself from the titan power-up, so maybe that’s revolutionary. This is obvious, but all of Titanfall operates on hyper-masculinity. It may be the game’s greatest mechanic. I suspect I keep eating the brownies because it fulfills my latent power fantasies, feeding me little doses of dopamine every few seconds. Essentially every input available to the player produces the most masculine of desires. Down on the D-pad calls down a colossal billion dollar robot that follows your every command and allows you to chew up enemies in the humanoid toy weapon from your normative boyhood. Left on the D-pad equips you with heavy ordinance. Left bumper activates a superpower daydream. Non-human controlled enemies occupy space for the primary purpose of making you feel badass every time you remove their inferior being from the game’s existence. These minions exist to make you feel like you exist. When you pull this move off you’re left underwhelmed, looking for another hit that will hopefully satisfy your need for hyper-masculine affirmation. There’s a woman in the game’s story. I don’t remember her name. She was plastered at the forefront of many of the game’s ads, screaming, “hey ladies, come give us money play, too.” That’s about as far as they got. Oh yeah, there’s a story. And I found proof that ludonarrative dissonance (when a game rules and narrative contradict each other) exists! Not in the sense of the game criticism’s only technical term, but in a musical metaphor sense. Dissonance, the lack of harmony among musical notes, must have been the driving theme for Titanfall’s story because it does it very well. It seems that Respawn took the notion that gameplay and narrative should be intertwined very literally because they decided to place cutscenes in your already cluttered first person perspective. I was really moved when my superior Lieutenant, uh, Bradley, yeah that’s it, died in my picture in picture. Well, I think he died. I wasn’t actually able to see him die because I was too busy deflecting rockets back at the guy who had Titan-teabagged me earlier in the match. While attempting to listen to the radio report supplementary story that plays in the lobby between matches, I dreamt of a Japanese studio’s take on Titanfall. For one, the mech designs would be much sexier. Character depth would probably be a thing, too. The heavy handed thematic musings of the Japanese mecha genre would also be welcome. Think Code Geass without the fan service (womanizing), i.e., asymmetrical multiplayer having a conversation. We’d get the discussion about power, Machiavellian politics, flaws and conflations between opposing ideologies, progressive representation, justifications through heavy exposition, meditations on weapons of mass destruction, and monologues so obviously stating a character’s transformation that even a child would understand. 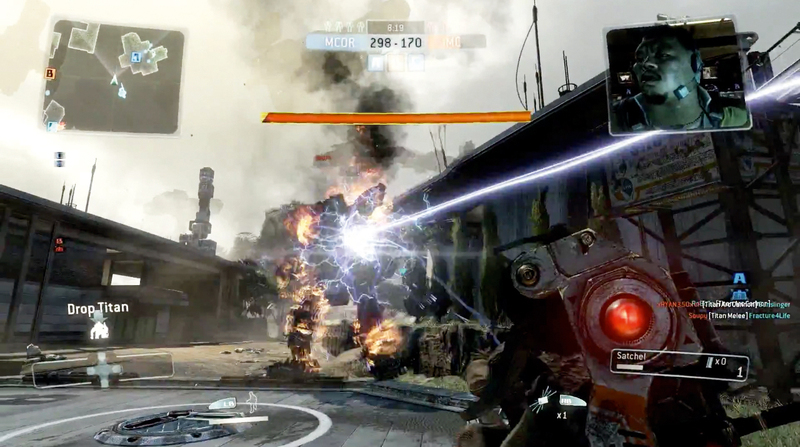 But story in Titanfall is like story in Pacific Rim: It’s there for mech warfare context. Except Pacific Rim is Jules Verne in comparison.